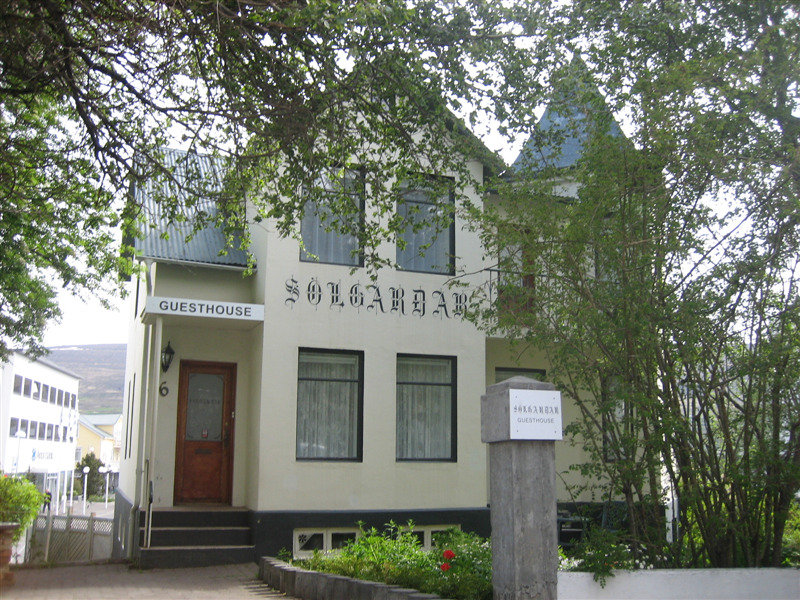 Welcome to Guesthouse Sólgarðar in Akureyri. We are a small familyrun guesthouse located right in the heart of town. We offer bright and comfortable rooms with shared bathroom and kitchen facilities. All rooms have a television and a free wireless internet connection in the room. We offer rooms for one to four persons and you can choose between made up beds or sleepingbag accommodation. In the kitchen our guests can make their own breakfast and other meals or just have some coffee. Coffee and tea is included and is available in the kitchen anytime you like. We also offer a full breakfast on request. Our guesthouse is located in Brekkugata 6, only two houses away from the town square Ráðhústorg so it is right in the centre of town. You can reach our house from two sides, from the street Brekkugata or from the backside, from the parallel street Túngata. There is free parking in our street Brekkugata and in the large parking area in Túngata. The bus station is only a five minutes walk away so we are also easy to reach if you come to Akureyri by bus. You find cafés, restaurants, shops and art galleries within 1-2 minutes walk away from our house and the swimming pool is less than 10 minutes walk away.